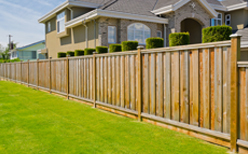 Need a fence company in Bloomington IL that’s both local and dependable? Look no further than Hohulin Fence, a respected manufacturer of chain link fences for commercial use and residential use. Check out more about us here. With headquarters in Goodfield, we offer services to all surrounding communities, including Bloomington. Our history of service spans more than 120 years of quality fencing. Our superior craftsmanship and products, as well as attention to detail, follow us wherever we go. It helps that we are a trusted family owned business that has been in operation since 1897. Established by brothers Sam, Tim and John Hohulin, sons of Gottlieb Hohulin, we were the first in the country to commercially manufacture chain link fence fabric. Hohulin Fence, a LEED-certified business, caters to both homes and business. We are an environmentally conscious company that uses recyclable products whenever possible. In fact, we make all our fences with 100 percent recyclable materials. 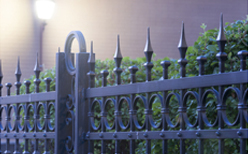 Through crafting high-quality fencing, gate and railing products, we are able to offer these time-tested products. It’s our pleasure to serve customers in all surrounding areas beyond Bloomington, such as Peoria, East Peoria, Pekin and Springfield. It’s our consistency of service that fortifies our reputation. In conclusion, to learn more about the fences and other products we sell and install in Bloomington IL, contact us at 309-316-1008. You can also email us at info@hohulinfence.com. We are located at 116 South Harrison Street in Goodfield, IL, so come check us out today.